For those not in the know, capillary action has little if nothing to do with the flow of blood around the body. “Capillary” is a term used to refer to any small tube, and the capillary action Alex is talking about is shown in the headline image. When you stick one of these small tubes into a body of liquid such as water the liquid will rise up a little way inside the tube before stopping, apparently in defiance of mundane forces such as gravity. 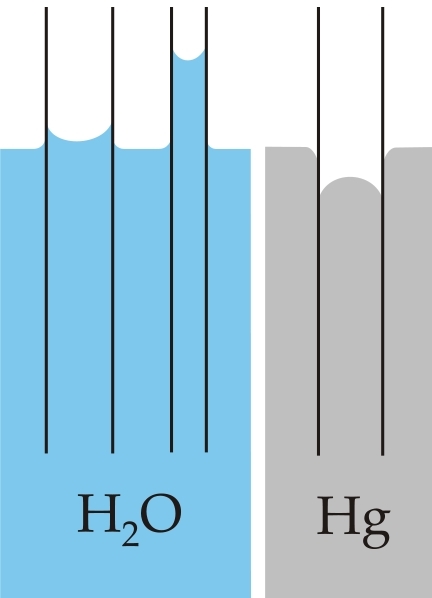 The raised surface level of the water inside the capillary means the water molecules have effectively gained gravitational potential energy, and the energy required to do this has to come from somewhere. Those drops are being held together by the natural cohesive forces between the water molecules inside them. 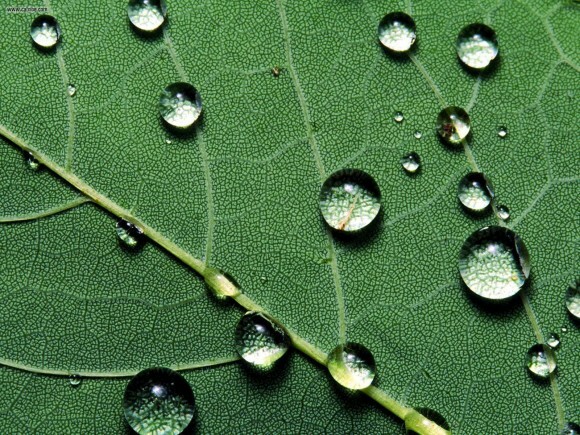 Every molecule of water has a balanced set of cohesive forces acting on it from all sides from surrounding molecules – except the ones at the surface. 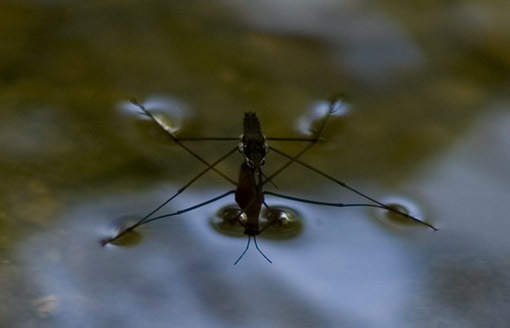 The surface molecules are pushed up by the molecules underneath them but they have no counterbalancing force from above, resulting in the phenomena known as surface tension: the surface of water will actually deform slightly under very light loads – like paperclips or insects – rather than breaking apart and sinking the object on top of it, and this is thanks to the slight upwards force provided by cohesion. You should be starting to see how cohesion can lead to capillary action, but there’s a missing piece of the puzzle: adhesion. Where cohesion is the attraction between similar molecules, adhesion is an attraction between molecules that are dissimilar. A high level of adhesion between the fluid and the walls of the capillary will overcome the surface tension of the fluid and cause it to form a concave meniscus (read: top of the fluid) with the fluid molecules touching the sides of the capillary being dragged up higher than the fluid molecules in the centre by adhesion. Cohesion forces attempt to compensate and push the fluid up to match the fluid levels at the sides, and then the fluid levels at the sides move up again thanks to adhesion, and this process repeats and the fluid continues to rise until the capillary action is finally counterbalanced by gravity. Finally there’s the question of why thinner capillary diameters draw fluid to a higher level than thick ones. 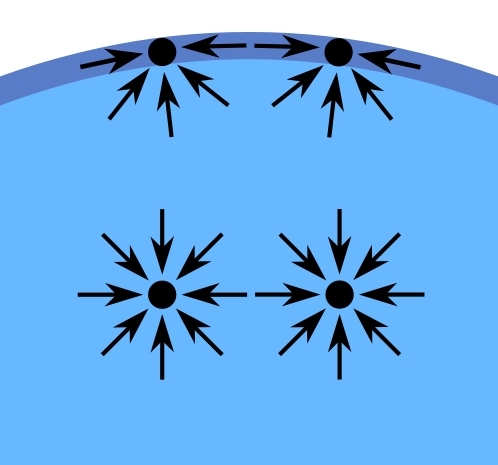 This is because the amount of capillary action you get out of a given capillary is going to be proportional to the contact length (the top edge of the liquid) between the fluid and the capillary that’s drawing up the fluid through adhesion, which is in turn proportional to the diameter of the capillary. On the other hand the weight of the fluid in the capillary is proportional to the square of the diameter, so while a bigger capillary diameter means more contact length it also means a larger quantity of fluid to be raised against gravity, and the latter increases exponentially compared to the former as you increase the sizeof the capillary. 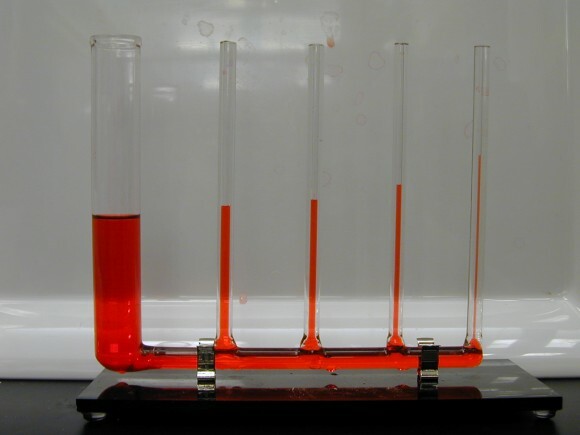 Ergo, smaller capillary diameters go higher. QED. 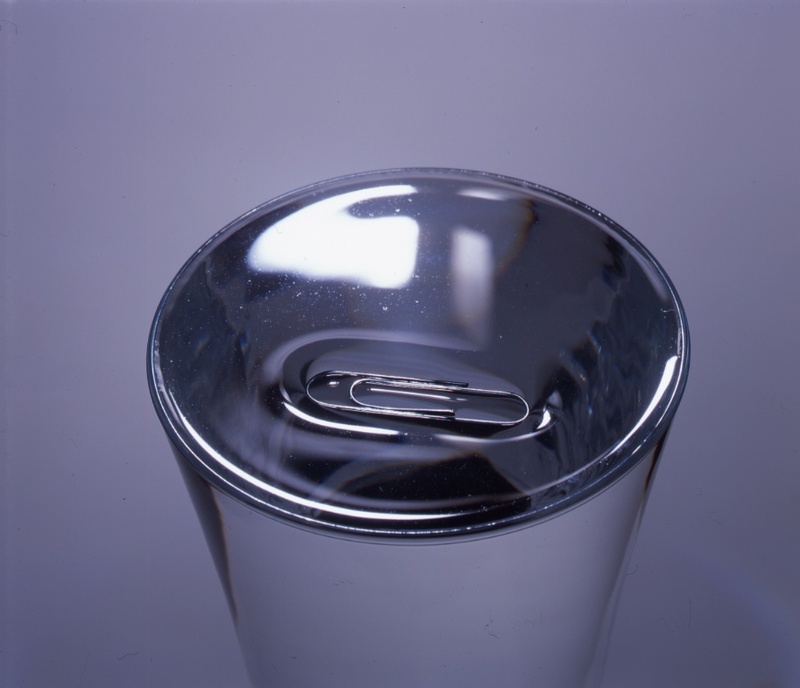 Will the force ever be strong enough to pull the liquid out of a (short, thin) tube, or will it just sit with a convex meniscus at the top because the force isn’t strong enough to overcome the surface tension? For example, if the tube on the far right of the first image was half as tall, what would happen to the liquid? It’s adhesion to the sides of the capillary that drives the capillary action. Once you run out of capillary to adhere to there’s no more capillary action and no more force driving the fluid upwards. So it doesn’t matter how short you make your tube, the fluid inside will only rise to the top and no further.